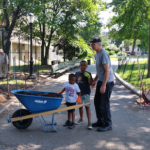 Friends of Brower Park, Inc.
With the help of volunteers of all ages and with Aaron and Claudia of the NYC Compost Project leading the effort we rebuilt Brower Park’s Leaf Mold Bins. We redesigned the bins to create a 4-sided enclosure, with a doorway. It is now one large bin to give us more flexibility in turning and piling. 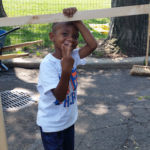 Volunteers from the East New York Farms provided additional expertise and hands. Leaf Crunch this year will be held on Saturday, November 18, 2017. Please save the date. We once again build a mountain of leaves to jump into before placing the slightly crunched leaves in our new bin. Some work still needs to be done and as soon as we have a date we will send out a post. 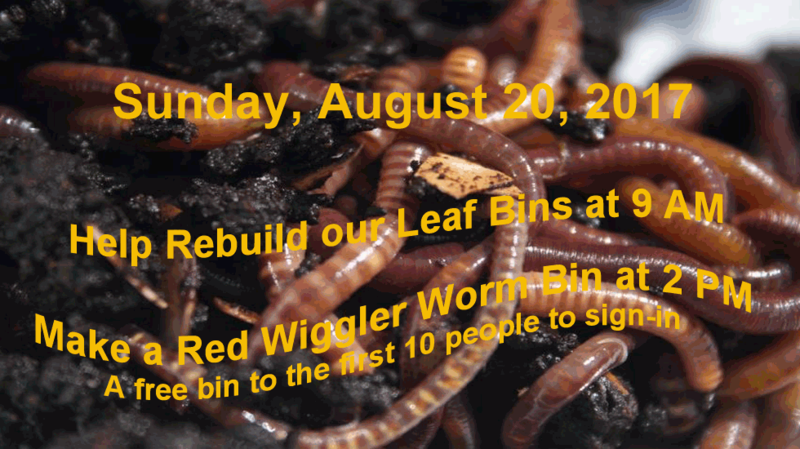 At 2 PM we began our Red Wiggler Worm workshop. 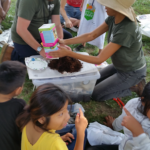 Friends of Brower Park gave away 6 bins with worms. Claudia, led the workshop. Everyone looked forward to holding the worms. We hope that the worm bins will provide the starting point for a science project about the ecosystems at work in the making of compost (humus) by humans and by nature. Follow these instructions to make an indoor worm bin and recycle your fruit and vegetable scraps. 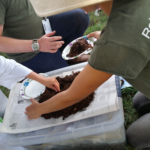 Discover the connection between what you eat and the health of your worms. 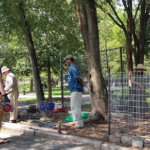 A Natural Science and Art project was set up on a corner of the lawn. 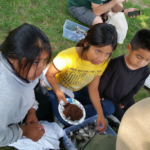 Children and their parents made two signs from found natural objects. Kip donated the posts. 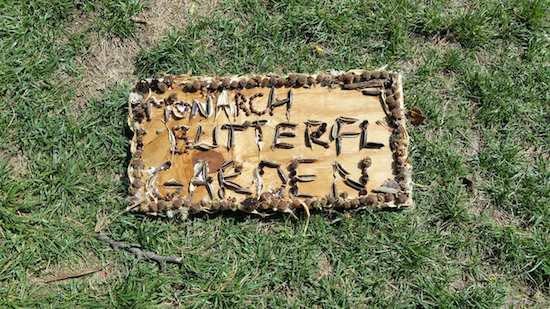 The Monarch Butterfly Garden Sign is made from Baptisia australis (blue false indigo) seed pods and Rudbeckia fugida (orange cone flower) cones . These art materials (butterfly and pollinator friendly) plants were harvested in the Monarch Butterfly Garden. We all had a wonderful time and a healthy time outdoors. We said our goodbyes with a feeling of accomplishment and community. 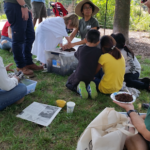 A joint program of the NYC Compost Project hosted at the Brooklyn Botanical Garden and the Friends of Brower Park. 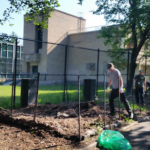 Sponsored by NYC Compost Project at the Brooklyn Botanic Garden, Lula Bagels, Kip, and Friends of Brower Park, Inc.